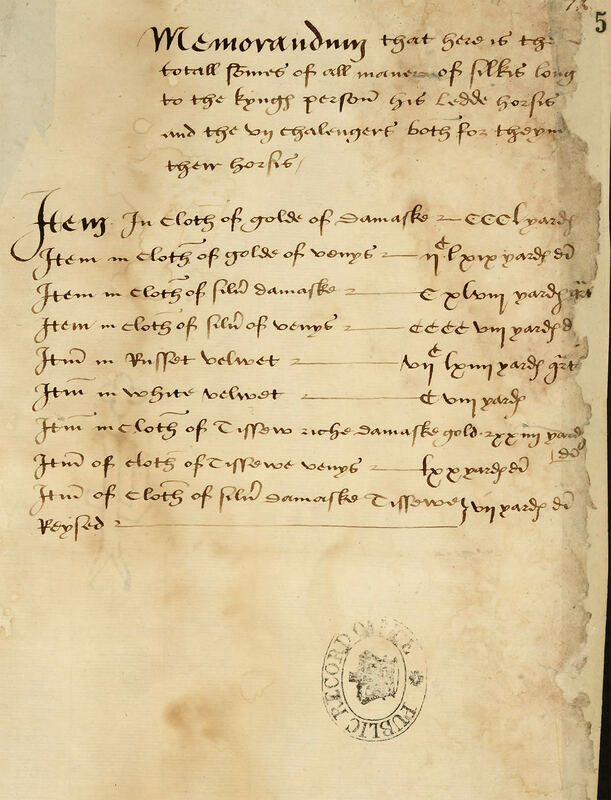 Undated provision of expensive cloth to dress Henry VIII, his knights, seven challengers and their horses for a tournament. It includes 350 yards of gold damask, 764 yards of russet velvet and only seven yards of the expensive raised silver damask tissue. Find out more about this document in Discovery - our catalogue.